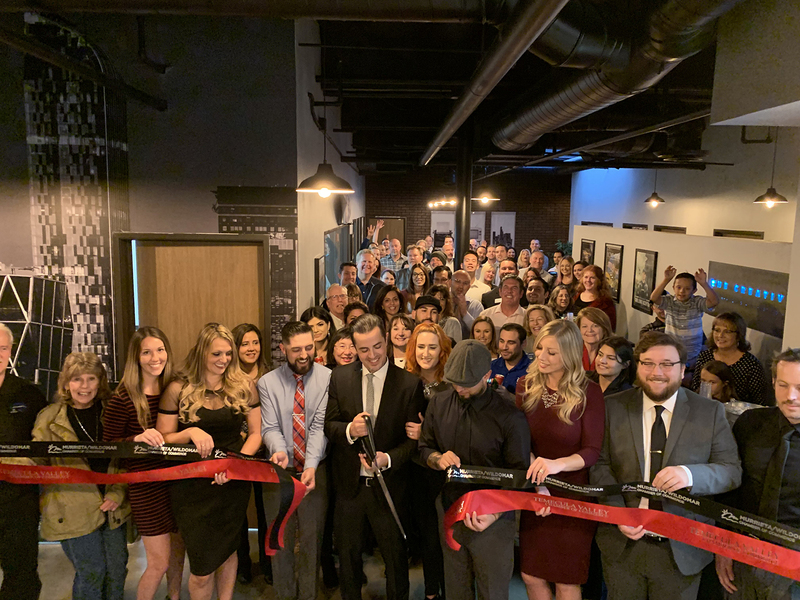 Murrieta, CA — The Creative Bar, a local full-service design, marketing & branding firm, hosted a successful ribbon cutting ceremony on Wednesday, November 28, 2018, to celebrate the opening of their new office and tenth year in Murrieta, CA. The ribbon-cutting ceremony was officiated by both the Murrieta and Temecula Chamber of Commerce, and representatives of local dignitaries including Senator Jeff Stone, Assembly members Marie Waldron and Melissa Melendez, County Supervisor Chuck Washington, and the Murrieta City Council all stopped in to congratulate The Creative Bar on its new building and ten years of success. Throughout the past 10 years, The Creative Bar has had the honor of working with many local clients as well as large national and international clients, many who were in attendance, and expressed their gratitude toward those that have helped them reach this next milestone as a company. “When you’re growing a business, you are constantly looking forward and focusing on the next steps. Tonight is an amazing opportunity to take a time out and reflect on the past 10 years and appreciate the major milestone of opening this new office,” said Justin Lawler, owner and Creative Director at The Creative Bar. “It’s great to be a part of this local business community, and we are happy and honored that so many showed up tonight to celebrate with us,” he added. Located in Southern California, The Creative Bar is a full-service branding firm specializing in company branding, marketing, print, and web design for both national and international clients. Since 2008, The Creative Bar has won over 100 National Design and Advertising Awards and services clients such as Hilton Luxury & Lifestyle Brands, Anheuser-Busch, and Haro Bikes.